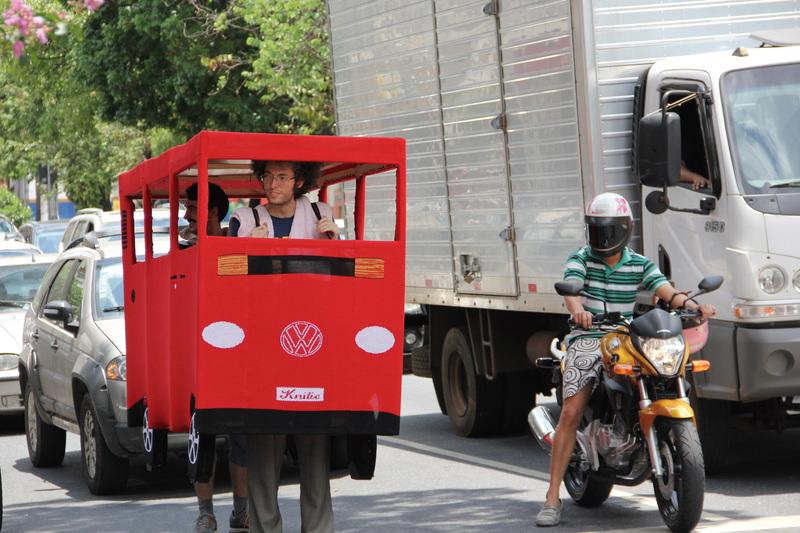 Kombi is a foot-powered knitted car for maximum of 3 people. Kombi has been knitted with Knitic – the open source knitting machine that me and Mar Canet Sola are developing. It was a residency project at Marginalia+Lab in Belo Horizonte, Brazil. 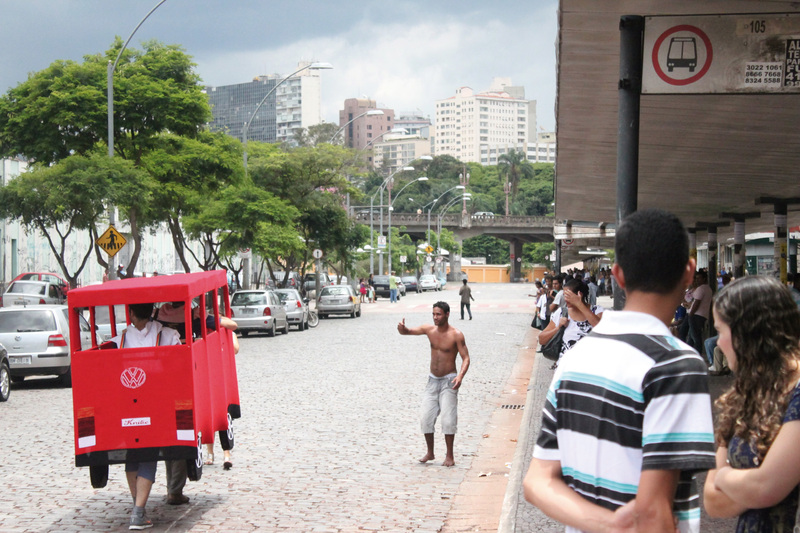 The work was used for public intervention on the roads of Belo Horizonte and exhibited at the Marginalia+Lab 2012 residencies’ exhibition. 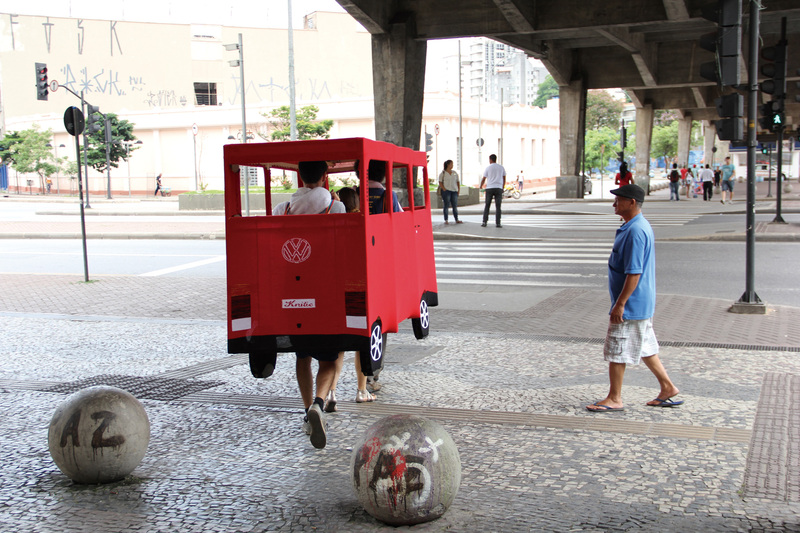 We have decided to make a knitted VW Kombi, since 2012 is the last production year of this car model in Brazil. Wikipedia: as of October 2012 it was announced that the production of the brasilian Volkswagen Kombi will end in 2013. The phaseout of the T2c marks the end of an era which lasted since 1935 – it will be the final production rear-engined Volkswagen after 78 years. 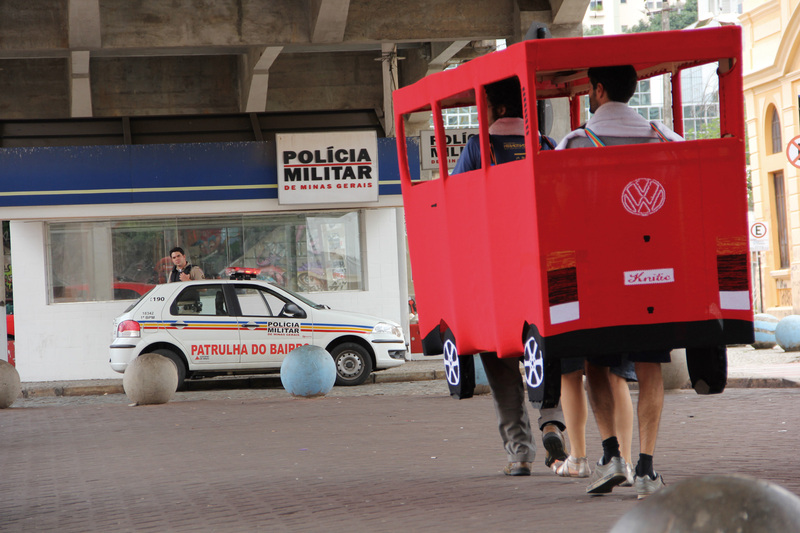 VW played a crucial role in political decision of Brazil to invest in car roads’ development instead of railway. Also Kombi is very present in the local life and culture of this country. Hence, these all were an inspiration for us to create this artwork. In addition to that, we aimed to make a statement of pedestrians’ rights in the city, which are not enough respected by drivers. So, we had to get a car in order to get an equal treatment by the other vehicles.